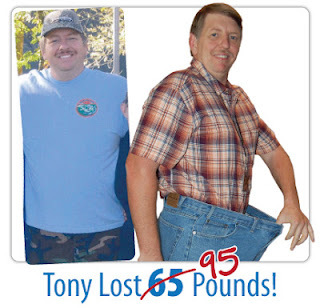 What Is Health: If Tony Can Do It, Then So Can You! I was able to lose 65 pounds eating Appetizer Diet Cookies and Shakes. Over the years, I have been able to lose 30 pounds or so pretty easily using low carb diets, but I always put the weight right back on. I have been able to keep this weight off for over a year. The Appetizer Diet Cookiestaste great and are very convenient. The Appetizer Diet Cookies are my Go-To-Snack for my On-The-Go-Life!